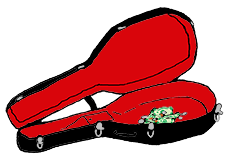 Going a bit meta here as I formerly introduce WtB’s official logo. My thanks to Maggie Cook for helping turn my vague ideas for a logo into a beautiful reality. Maggie’s currently in New Zealand, visiting sites from the Lord of the Rings films and supposedly studying, so I’m jealous to the point of hating her, but I appreciate her work nonetheless. Is this a little homage to World’s End (and to a lesser extent Hot Fuzz)? A tiny little bit–love both those movies! 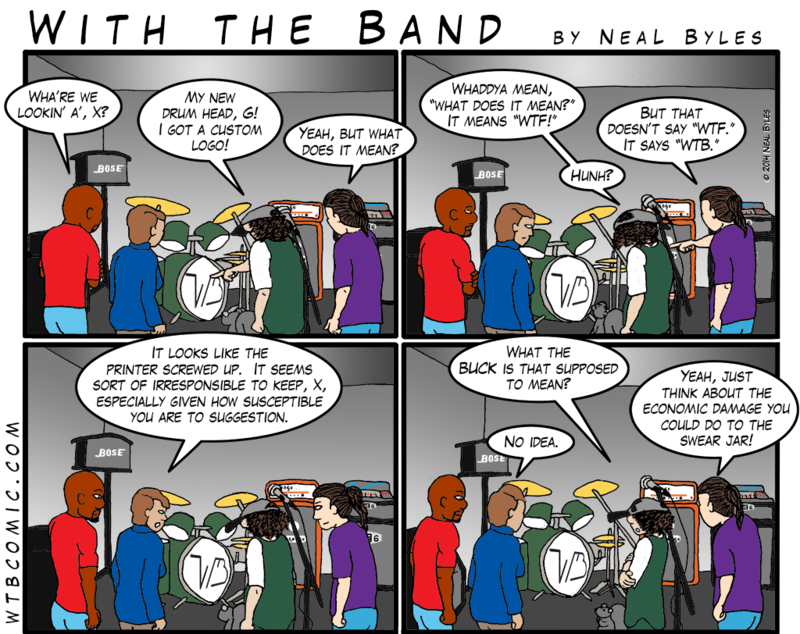 Mostly, though, it’s a way to justify getting the WtB logo on X’s drum head without totally destroying the fourth wall. At some point, I’m going to have to name this band. 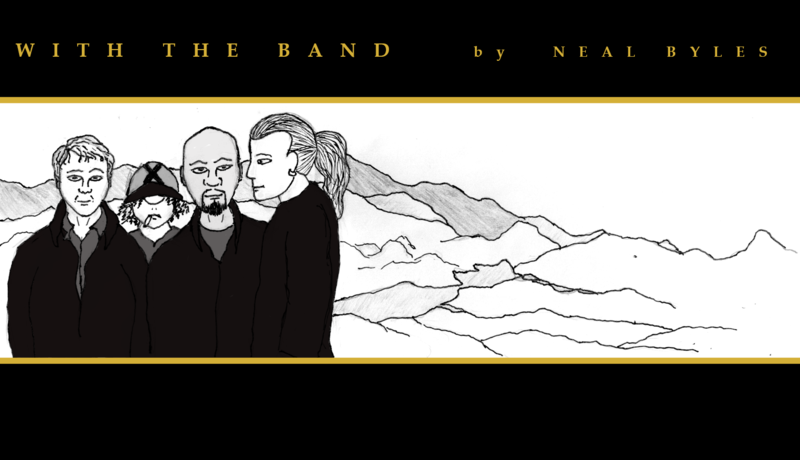 So the band now really needs a name that fits WtB. We can work with this.